Tri-Dosha Ayurvedic nourishing Neem shower gel. Refresh your senses and nourish the skin with a warm, refreshing scent of sweet orange and rose geranium. Non-drying Neem gel formula luxuriously cleanses and softens the skin with each use. Soap-free cleansing, light gel texture, subtle, sophisticated, refreshing scent leaves skin feeling softer. Neem herb from India, Made in the UK. 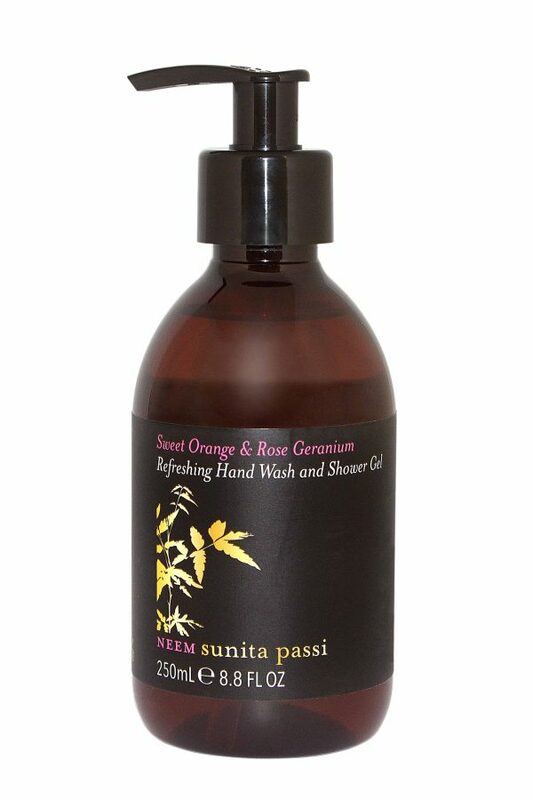 Active ingredients: Sweet Orange & Rose Geranium. Awaken your body and senses with a luxe body cleanse thatÕs comforting and kind to your skin. This soap free shower formula contains a natural protein of neem, rich in moisturisers, and a blend of refreshing calendula and chamomile that will provide the perfect start to your day.